First Nations Communities in New Brunswick are experiencing an aging population and a shortage of professional personal care workers. The Support Worker Program was developed in order to address this gap. 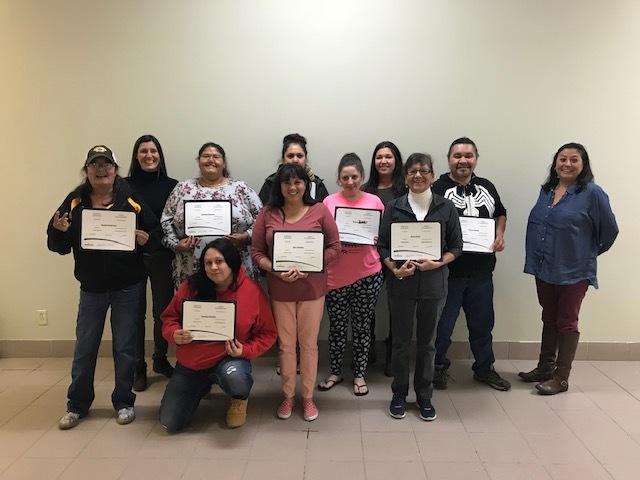 The program provides First Nation participants from 3 local First Nations communities the opportunity to gain the necessary ES and post-secondary certified training to become professional Long-term Care Support Workers. Graduates can return to work in their communities, seek employment elsewhere or move to advance training. The program consists of 4-weeks of workplace essential skills (WES) training and 17 weeks of specific occupational training as Personal Support Workers, including a 2-week workplace practicum. There are currently 12 participants in the program and it is scheduled to end March 22, 2019. The program is a partnership between the Joint Economic Development Initiative (JEDI), New Brunswick Community College, St. Mary’s First Nation, Oromocto First Nation, Kingsclear First Nation, and the Department of Post-Secondary Education, Training and Labour (DPETL) under the Government of New Brunswick. Learning outcomes will be measure through graded assignments, practicum performance and instructor observation. Transportation – Participants coming from the St. Mary’s and the Oromocto communities needed transportation to attend the training. St. Mary’s provides drivers for those students not involved in car pooling. Some participants had criminal records, which was a barrier for them to gain employment as Personal Support workers. Special arrangements were made with First Nations communities regarding hiring these students if they met all other hiring criteria. Some students are in recovery from addictions. This required arranging schedules so they could attend clinics and access medication. If there are students who use substances during class, proper warnings steps are in place to rectify the behaviour. 1. There needs to be a good fit between participants and instructors. There needs to be a trust relationship between the learners and the facilitators. Having indigenous instructors deliver the first WES component of the program helped the participants feel more at ease. 2. There needs to be on going and clear communication between all stakeholder groups throughout the program. 3. Coordinators and managers of the program need to be accessible to learners and need to be actively involved in the delivery of the program. At JEDI, the coordinator played the role of the “go to person” for participants. They helped participants to resolve issues they were having and also referred them to other resources and services as needed. A 4-week Workplace Essential Skills (WES) training program took place prior to the start of the 17 week occupational training component of the program. The WES component was tailored to focus on those Essential Skills identified as most important to the job of Personal Support Worker: Reading, Writing, Document Use and Oral Communication. Essential skills are taught using authentic work place materials as well as through real life activities. For example essential skills are integrated in workshops on Financial Literacy and Digital Literacy and are taught through traditional activities led by community Elders. The 4-week WES training also addresses cultural issues and integrates cultural/traditional activities throughout as a means of learning essential skills. After WES, participants enter a 17-week accredited Personal Support Worker – Long-Term Care training program delivered by New Brunswick Community College (NBCC). The certificate program consists of the following courses: Anatomy and Physiology; Nursing Concepts and Skills; Basic Home Care; Interpersonal Communication; Ethical and Legal Frameworks; Work Safety and a 2-week Clinical practice. Students who successfully complete the program earn NBCC’s 13-credit program with a post-secondary certification as a Personal Care Worker. Graduates attend a “reverse career fair” where graduates set up stations and employers from the community come to meet and speak to them about employment opportunities with the ultimate goal of being hired. While the workplace essentials skills component of the program focuses on Reading, Document Use, Writing and Oral communication, all priority skills for the occupation of Personal Support work, participants experience skills development in all 9 of the essentials throughout the program. Participants are assessed one on one in targeted Essentials Skills using provincial essential skills assessment tools. They are asked questions on their ability to do common life and work place activities associated with specific ES levels and may be asked to demonstrate these task. The assessor writes a report, which is shared with ES instructors to better tailor curriculum to the ES needs of the participants. It is preferred that participants are at a minimum of a level 2 in each of the priority ES skills prior to being in the program. JEDI is an Indigenous, non-profit organization. Programming is based on First Nations values and perspectives. The programming is also based on the identified needs of First Nations partnering communities. 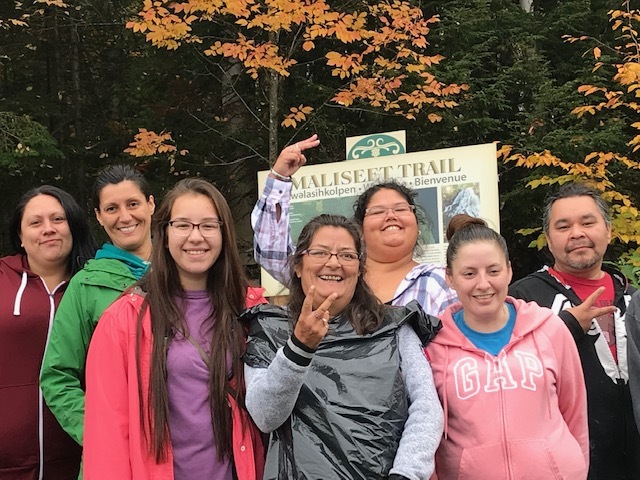 During the 4-week WES training, participants take part in traditional activities such as beading and walking the Maliseet Trail, led by Elders or knowledge keepers from the community. Resources and materials are relevant. For example, reading material include topics related to past and current First Nations history. The training takes place on site in the Kingsclear First Nation community and Essential Skills are taught by indigenous instructors. Staff needs to be empathetic and understand the realities of Indigenous participants. They need to be patient, flexible and able to create and maintain trusting relationships with participants. Many students are experiencing serious personal and professional challenges. Staff need to be supportive, trustworthy and respectful of confidentiality. •	St. Mary’s First Nation, Oromocto First Nation and Kingsclear First Nation. The first nations community recruited participants and provide appropriate supports to them through various subsidies such as day care. 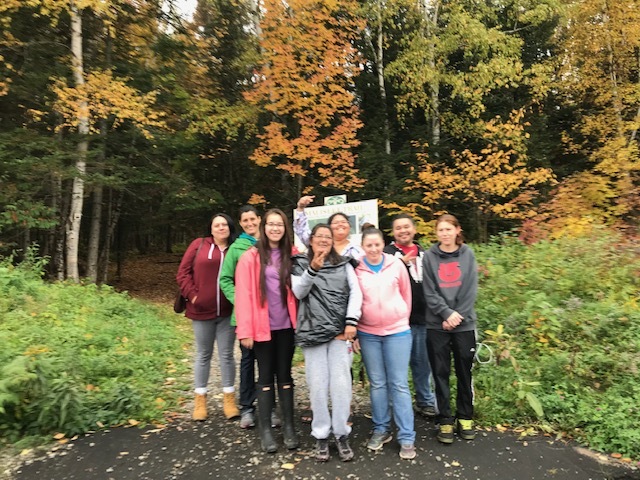 St. Mary’s provided participants with transportation and Kingsclear First Nation hosted the program in their on-site facilities. Members of the community facilitated traditional activities. All three communities are committed to employing graduates of the program if jobs are available in their communities. •	New Brunswick Community College oversees and delivers the 14-week Personal Support Worker – Long Term Care Training Program. They also provide tutors to support participant learning as required. •	The Department of Post-Secondary Education, Training and Labour (PETL), Government of New Brunswick funds the program.